From sole member LLCs to successful multi-national corporations—Our San Francisco business lawyers have represented them all by either helping to create and maintain their corporate structures, or by facilitating significant transactions. We have extensive experience forming LLCs and corporations in California, Delaware, and overseas, drafting operating agreements and by-laws, issuing stock shares, drafting employment agreements and other general business contracts. We also handle a wide variety of corporate transactions, including asset purchase and sales, early stage financings, and business joint ventures. Our clients are not only corporations, but also individual corporate shareholders, LLC members, and entrepreneurs turning to us for representation of their financial interests when making investments. 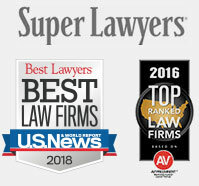 Unlike other corporate law firms, our San Francisco corporate attorneys not only facilitate our clients’ corporate transactions, but they are also able to enforce or defend them in court. Contact us today to learn more about how our our San Francisco corporate attorneys and business lawyers can help maintain and protect your business.